Over the last decade, China and India have more than doubled their wealth. Meanwhile, developed economies like the United States and Japan have increased wealth at modest rates – and some, like Italy and France, even lost modest amounts of private wealth over that duration of time. Finally, it should be noted that the United Kingdom’s decrease above is mainly due to the depreciation of the GBP, which dropped in dollar terms from roughly $2.00 to $1.35 over the decade in question. 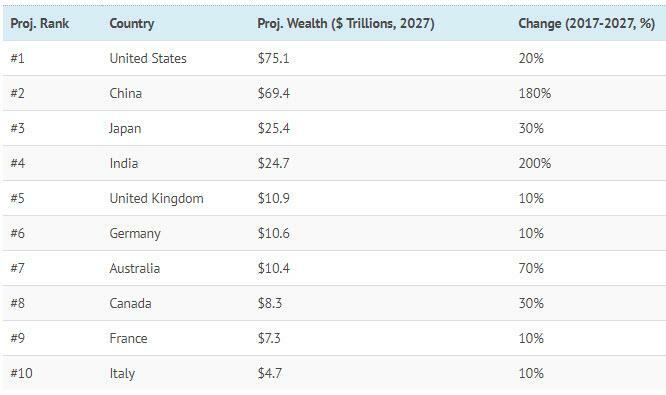 How is global wealth expected to shift in the future? Meanwhile, France and Australia are two other significant movers – and they are going opposite directions. 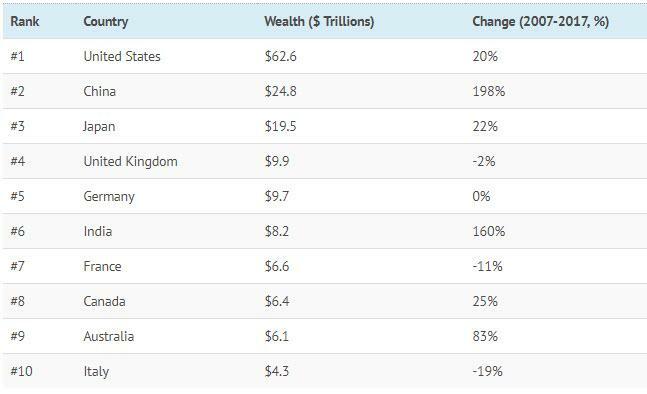 For more on private wealth, see the 15 wealthiest cities as well the countries that are gaining (or losing) wealth at the fastest rates.